Spare time has been scarce lately getting things ready for Stitches East. Hopefully, after the weekend I’ll have more time again! I really should be getting ready to leave but I really wanted to leave you with a few pretty pictures of a few pretty piles in my life. 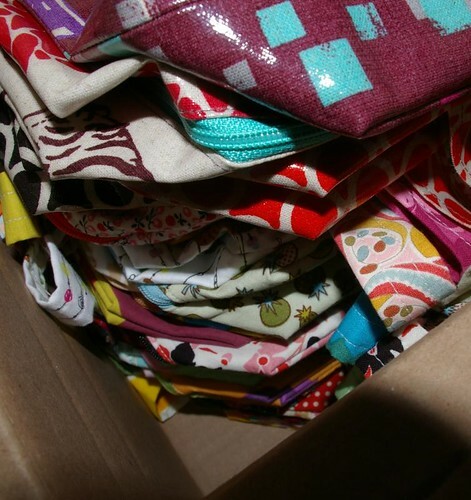 I don’t know how many bags I ended up making for the show, but here are most of them. I hope they do well and find new homes! All these fabrics were waiting to be put away although some still need to get prewashed. 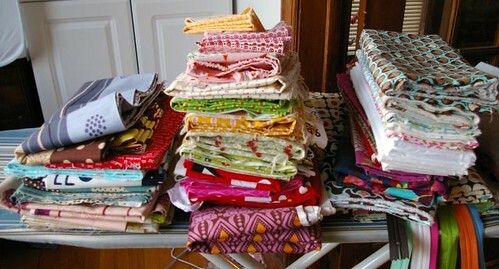 I love seeing all these pretty fabrics together. I’ve only got one more week of CSA and then it’s over. 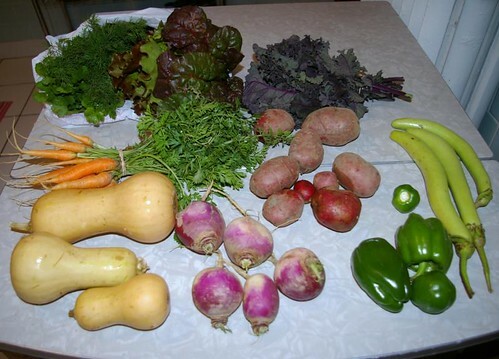 I’ll be sad not to have all these fresh vegetables, but in a way it will be nice not to have to cook as much! If you’re going to Stitches East, come visit me at booth 418, I’d love to see you! 418? Got it. Marking it on my map. I’ll see you on Saturday!! Will have to see those pretty bags in person! Good luck, I hope you sell out! Lovely piles! Have fun at Stitches! Great looking piles! Whenever I get ready to go on a trip I make a ton of piles, however they don’t look as good as your does! Have fun at stitches, I’m sure you will sell out of your bags and your samples will rock. 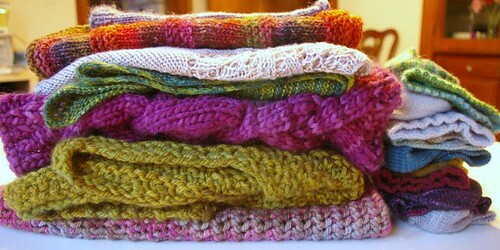 Love all the colours of the yarns, bags and veggies.